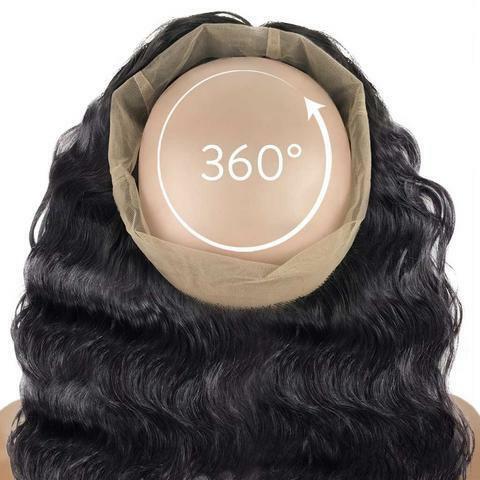 The Weave King's 360 lace frontal band just gives the option of being able to style your hair the way you want all around not just the front. These 8A Brazillian Lace Frontals will fit any standard medium wig cap size wearing women (basically 22-22.5″ in circumference). With 4 inches to the front and 2 inches towards the back. This isn't a wig but can be used to make a wig or for a hair weave you just add the bundles to the middle. It goes around the whole head so you can put it in a ponytail, and part anywhere too. All hand-tied and bleached knots with natural hairline. 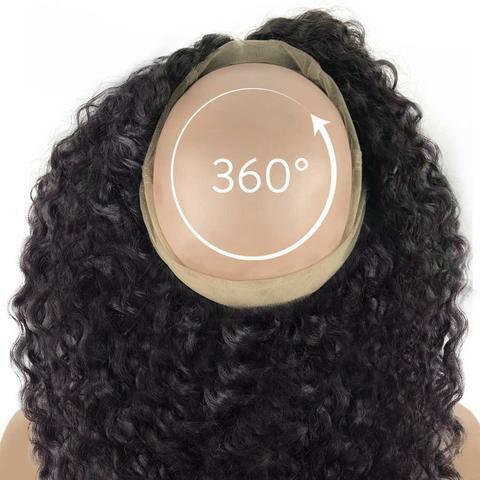 The Weave King’s 360 lace frontal band just gives the option of being able to style your hair the way you want all around not just the front. These 8A Brazillian Lace Frontals will fit any standard medium wig cap size wearing women (basically 22-22.5″ in circumference). With 4 inches to the front and 2 inches towards the back. This isn’t a wig but can be used to make a wig or for a hair weave you just add the bundles to the middle. It goes around the whole head so you can put it in a ponytail, and part anywhere too. All hand-tied and bleached knots with natural hairline. 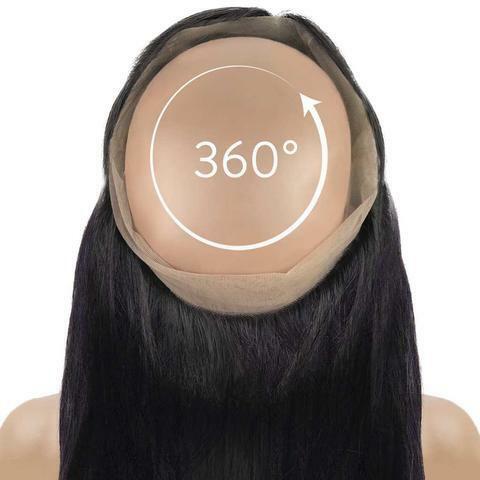 The 360 I recieved was with straight hair and I really like it. The process was easy, quick, and magnificent. It was really fast and the removal process was just as precise and fast as installed.